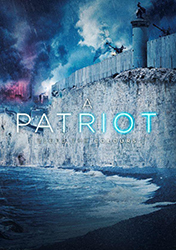 Eva will play unquestioning Border Corp Captain Kate Jones as she fights to defend the purity of a future authoritarian low-tech Britain’s population until a chance discovery makes her doubt the authorities she has pledge her allegiance and life to protect. Filming is moved to Spring 2019 after Eva is finished promoting Tim Burton’s Dumbo (2019) and filming Claire McCarthy’s The Luminaries (2019). Filming locations include Swansea and Port Talbot.